Here is another in a series of posts that celebrates the beauty hidden in plain sight, the astounding in the ordinary. Our subject today is the humble Mallard. 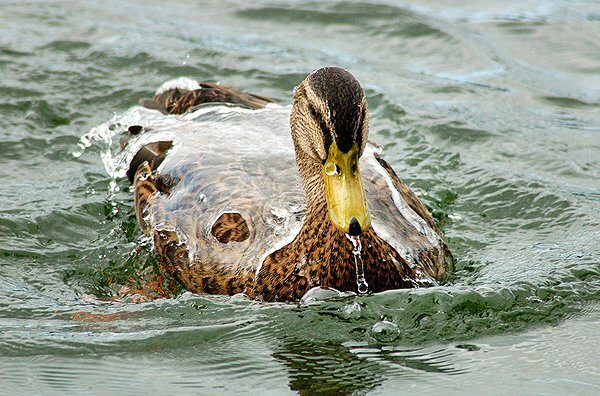 While we all love birds for their spectacular and stupefying relationship to the air, waterfowl have another element to navigate and they are equally attuned to its demands. 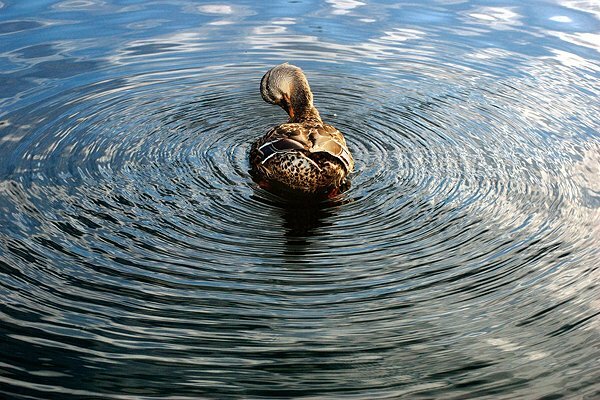 Above, a Mallard preens in New Zealand and sends pulsing waves into the morning light. 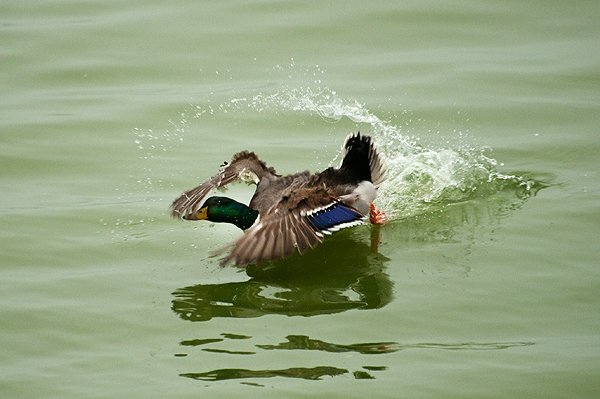 A Mallard’s perspective on the art of dabbling. 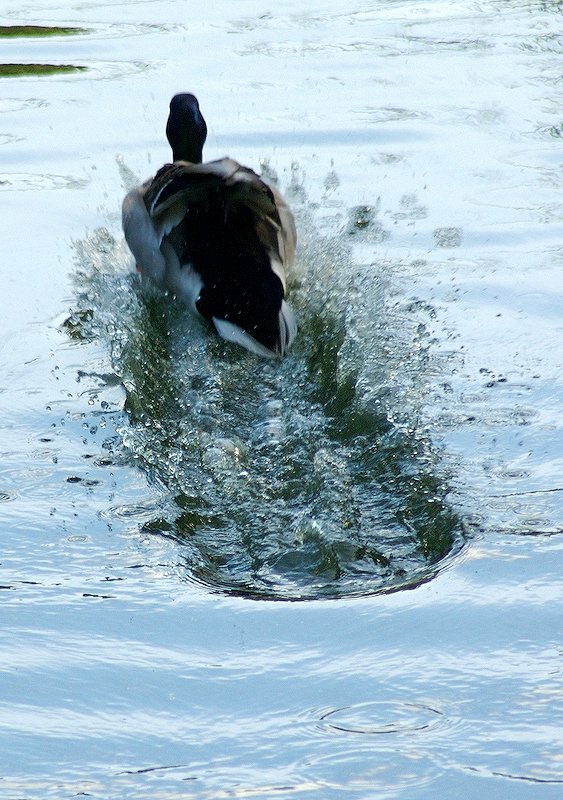 and creating a lovely yet fleeting trough in the water behind them. Sometimes even these graceful creatures get it wrong. When a foot digs in the result is often comical. I love the water chandeliers they make when they plop into the water from a nearby ledge! 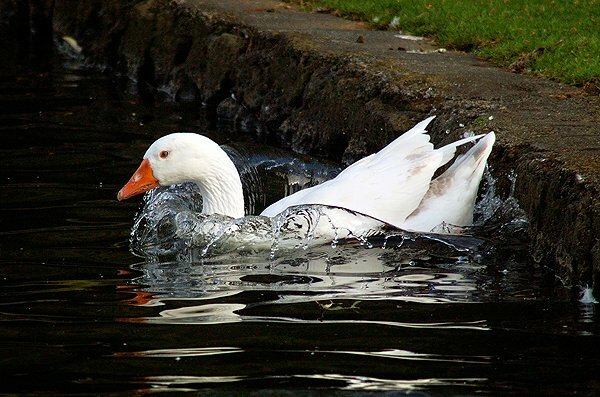 OK so not a duck, but geese are also chandelier makers of the highest order. 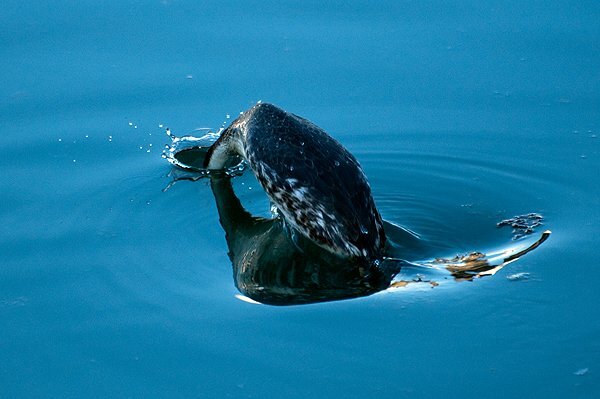 Still not a duck, but how could I resist including this image of a Pied-billed Grebe going for a belly slide? 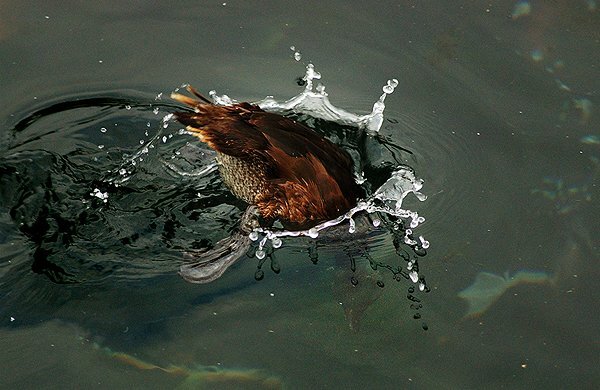 And for good measure a Western Grebe just beginning to submerge. One more gratuitous diving shot. 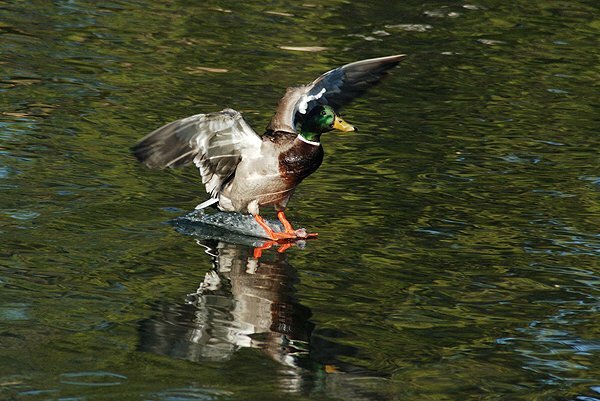 If we stop looking closely at the common birds (and what are more common than Mallards? ), we might miss out on some strange and lovely moments. Here’s to the everyday and the everywhere, to the myriad delights hidden in plain sight. I have a pair of Burrowing owls living in my front yard. The owls bring animal feces to the burrows for food and to hide the scent of the eggs. Talk about marveling in the sheer beauty in the simplicity of nature. My neighbors think I am nuts getting excited over a pile of poop. Water chandelier – great description. You take wonderful photos and your posts are elegant distillations of what is essential and beautiful about birds. Thanks for sharing. I hope you get to do a book of your bird photographs someday. These are really stunning images – very well done!!! 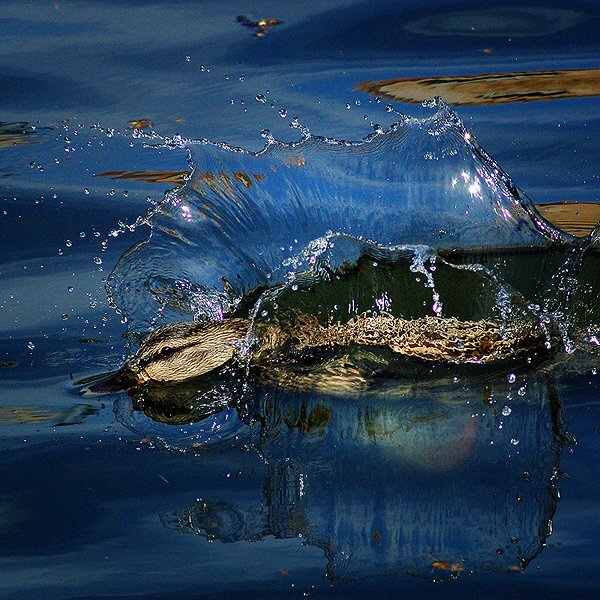 A am in awe of these photographs…all my life comes down to really, is ‘the ordinary’, so these mallards, for me, are heavenly!! Thank you! Walter – I just seem ‘too busy’ to thank you often for your superb photographs. Like many, my commitments consume my days, and weeks can pass without a chance to go birding. Your near-daily photos are a highlight of my mornings – Thank you! What a goldmine I’ve just discovered! ALL your photos are exquisite. 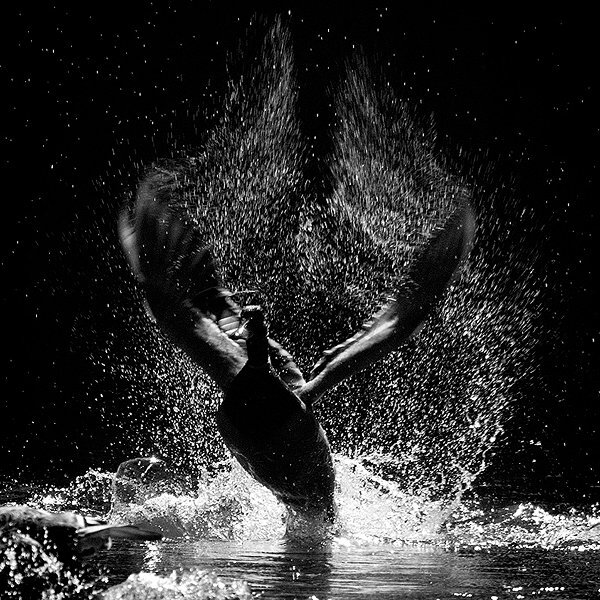 From the detail of the birds, to the complete stop of the water around them…it is all so scrumtious to the eye and allows us to SEE what we are seeing. I loved all of these, but that trough behind the Mallard really got my attention. I am in complete awe. 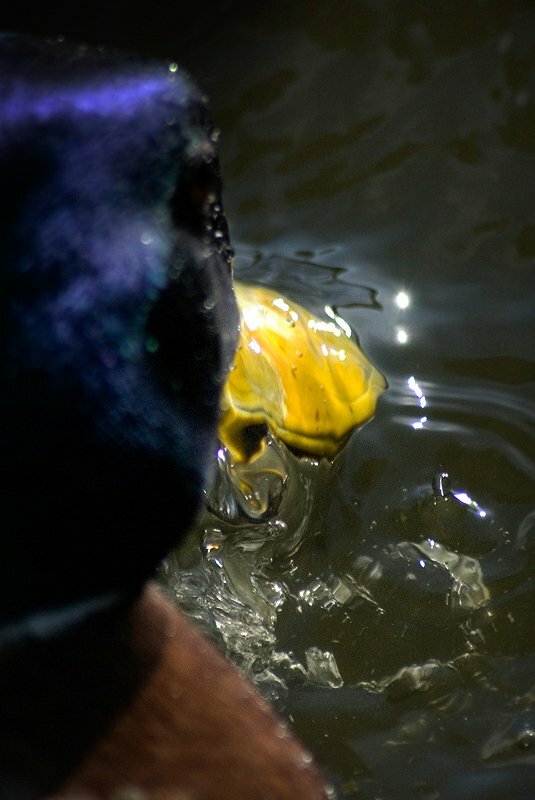 Of both the photography and the descriptions which turn the ‘simple’ mallard into a creature of almost poetic beauty. Seriously – wow! Where Are You Birding This Third Weekend of August 2013? Where Are You Birding This Final Weekend of May 2015? Who is Coming With Me to Panama?